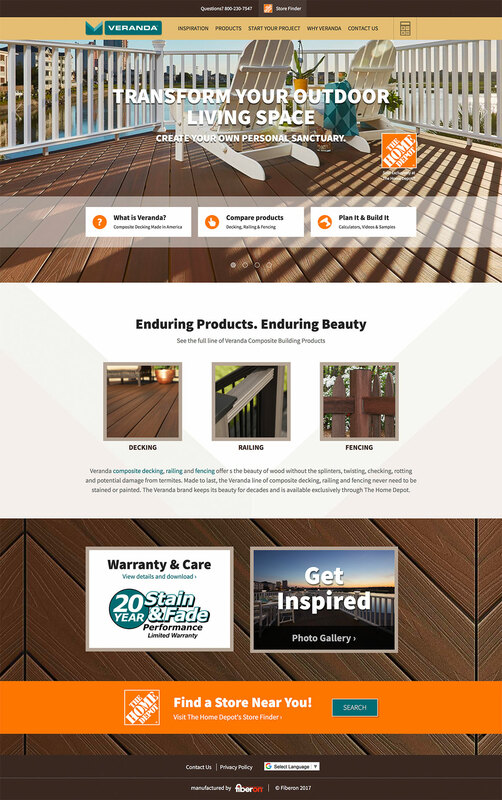 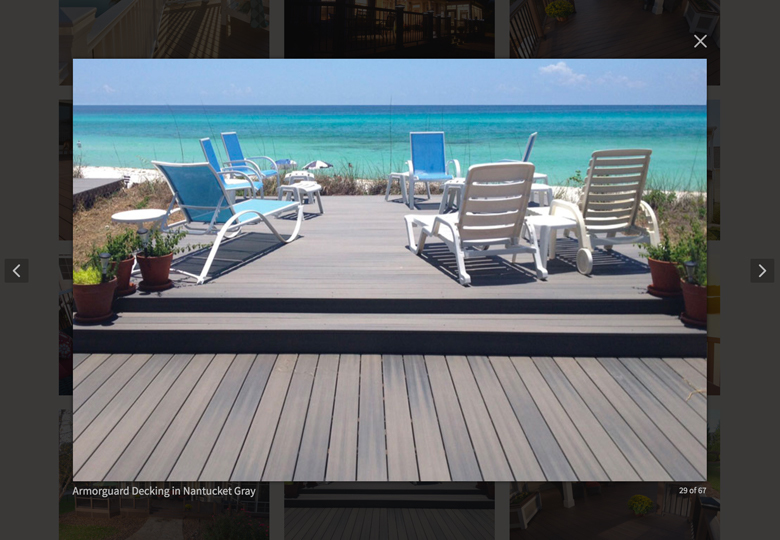 An international marketplace leader in composite decking and fencing, Fiberon came to Peaktwo seeking a website redesign for Veranda, the private-label brand of Fiberon decking sold exclusively by Home Depot. 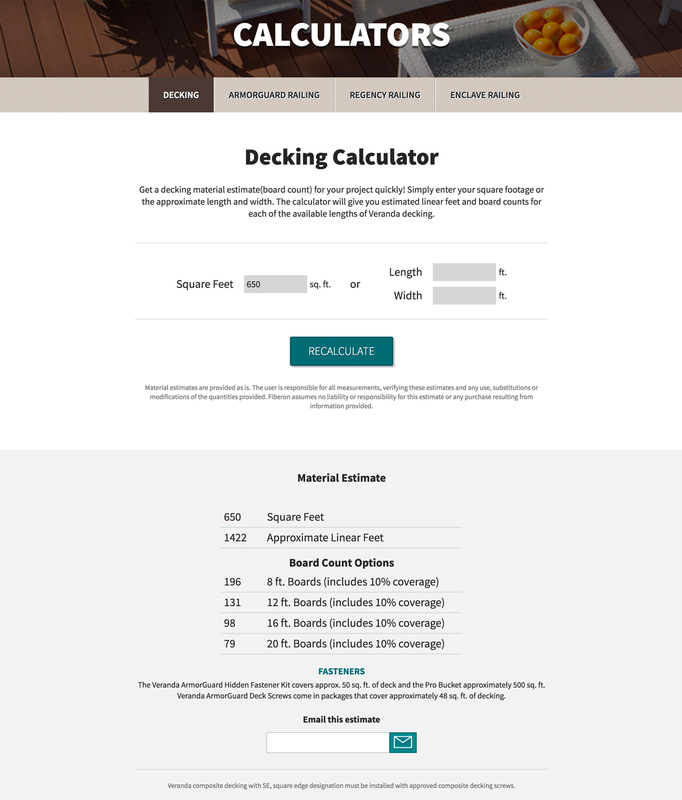 Their goal: to bolster the brand’s visual presence, intelligently organize product information, and strengthen the site’s customer support features. 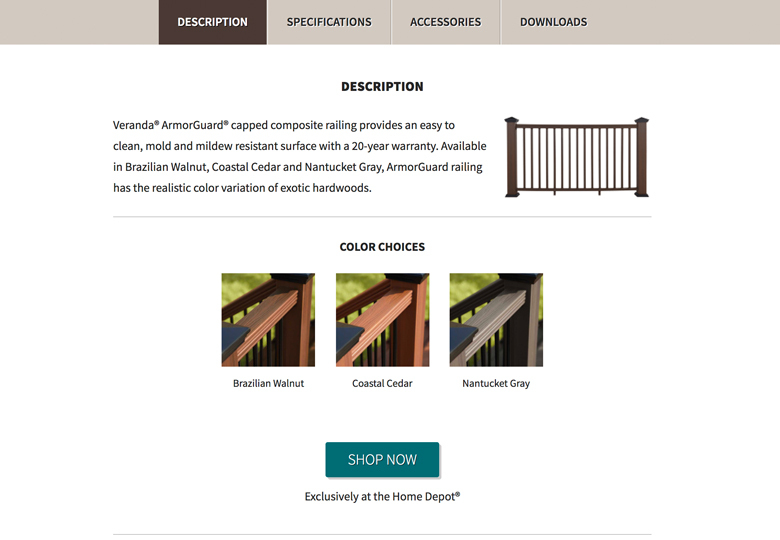 Since the Veranda brand caters primarily to contractors and DIYers — audiences that want their information fast and without a lot of extra fluff — we knew that the site needed to include features that could simplify research and the buying process. 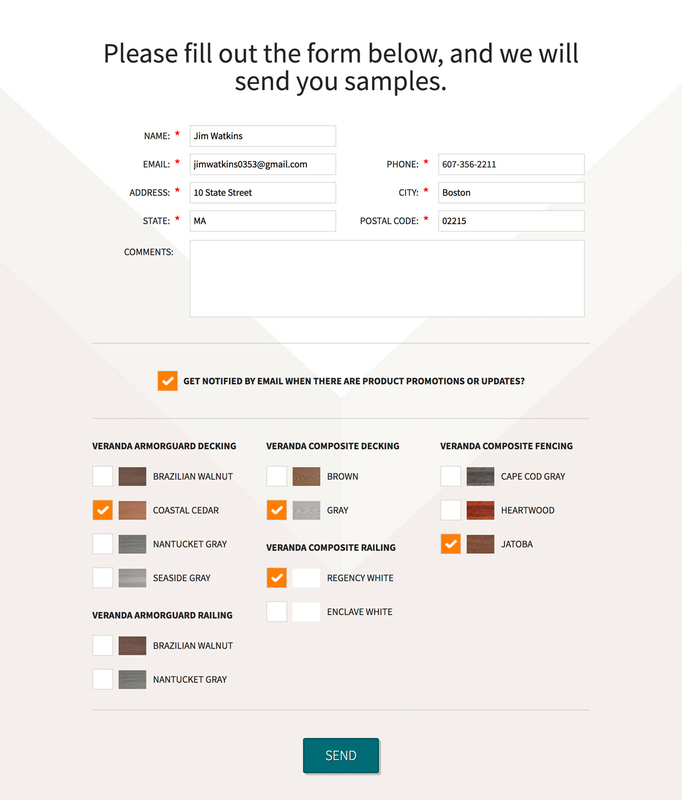 Tools like a project calculator and an automated sample order form were essential to meet the needs of their customers.